The 2 Mukhi Rudraksha is the symbol of Chandra and Surya (Swar ie; left and right Naadi). The person who wears this Rudraksha after proper Sidhhi ( method of purification & charging with Mantra) will always accompanied by two Deva i.e. Surya Deva and Chandra Deva. The wearer of this Rudraksha get Punya (meritorious act) of donating 108 Cows. 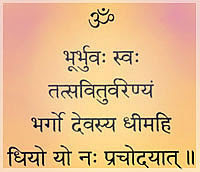 He is able to control two Indriya (senses) of his body. 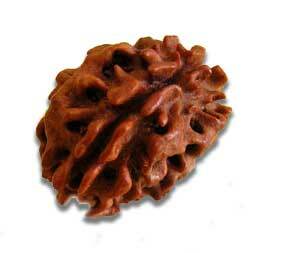 This Rudraksha gives control of Swar ( ancient and hidden knowledge of Breathing to know past present and future ). The wearer of this Rudraksha will never remain lazy and get always the blessing of Lord Shiva and in the end of life get the Moksha (liberation). One who starts the New work by wearing this Rudraksha; always get the success. Note : Above details are taken from ancient handwritten text and Guru Mukha. The description is seen in the deep meditation of Lord Shiva by Lord Datta Treya. The mantra are hidden so not mentioned here. Two Mukhi as per the various Puranas : 2 Mukhi Rudraksha is the symbol of ArdhaNareeshwara, a joint image of the Lord Shiva and Goddess Parvati (Shakti). In this image we see both in one body. It brings unity like the family unity in form, speech and Meaning. Being capable of getting riches and virtuous off springs by wearing two faced Rudraksha, it’s wearer becomes capable of leading peaceful and sacred life. Its wearer’s family finds the reverence and faith continuously increasing among them. Removing the differences of opinions between the Teacher & the pupil, the father and the son, the husband and the wife, and friends, it establishes unity between them. 2 Mukhi Rudraksha effectively control the diseases of Left eye, kidney, intestine in physical level and in the spiritual level such as lack of harmony in relationship etc. Two faced Rudraksha has natural two lines or faces. It is oval in shape and is available in two varieties – Nepal and Haridwar (India).